Ava is a classic beauty with grace that just doesn’t go out of style. 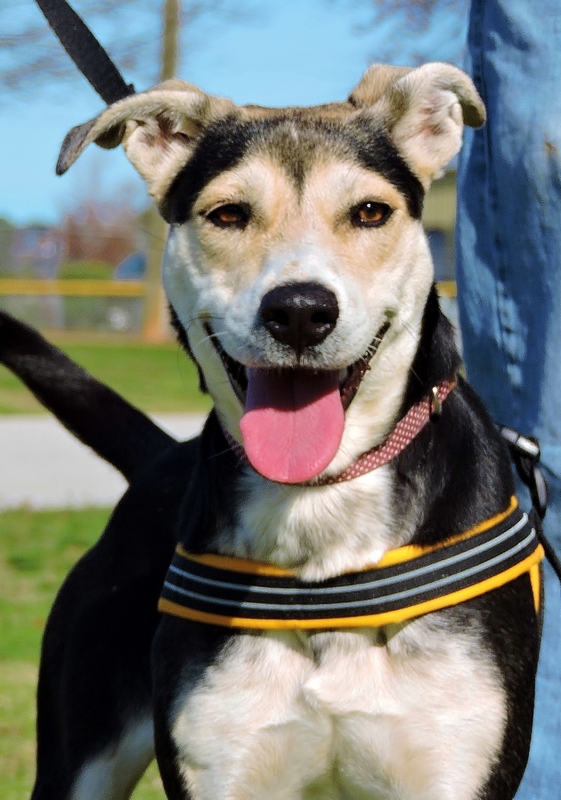 She’s a tri-colored shepherd mix with a stunning tan and slate grey coat. She’s a wonderful playmate with other pets (kitty cats included) and will melt right into families with members of all ages. At 2 years old, she’s fully grown and her versatile size and personality will let her fit into large farms as well as roomy apartments, as long as she gets plenty of attention and exercise. These days Ava has been helping shy dogs at the shelter come out of their shells, but now it’s time for this young lady to find a forever family all her own. She is smart, silly, and a real treat to take for walks. Come visit her today and see what a starlet like Ava can add to your family today! If the eyes are windows into the soul, then there can be no denying that Amber’s is kind, longing for a place to call home. 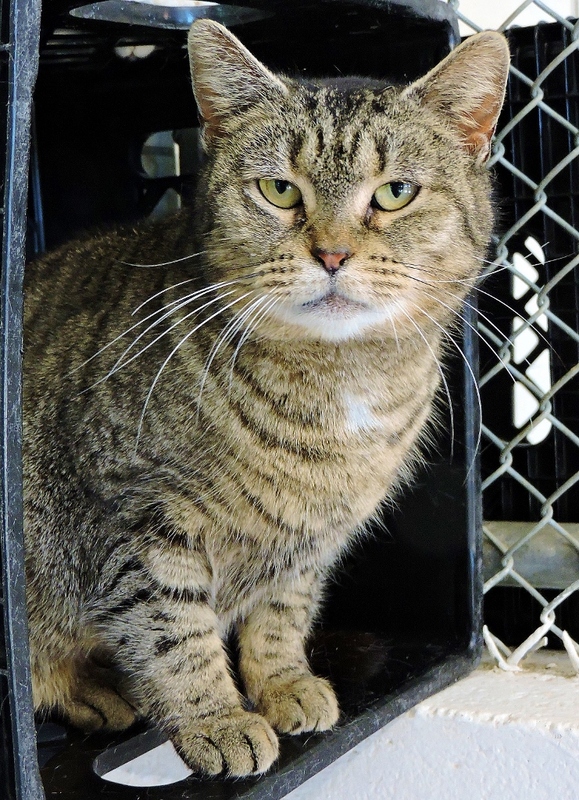 Amber is a Brown Tabby with a touchably soft, short coat, and her face is as expressive as can be, with soft yellow eyes and long whiskers. She is a calm 7 year old kitty who is very good with other cats and well-mannered dogs so there are no worries that her age has her set in her ways. She greets visitors with a soft mew and an out-stretched paw ever hopeful that the next person she meets will take her home to join their family. Amber is very well-mannered and calm enough for a small home with people of any age and would be a great fit as an indoor pet. Amber is a warm and gentle soul hoping to meet her match and join her forever family soon.